Finding your dream home can be really tough, and in some cases, impossible. The perfect home, the right size, in the right location, at the right price is often an unobtainable dream. So, if you can’t find your ideal home on the housing market, why not invest in a new home with a bespoke build which you can help design to meet all your needs? The government is currently investing more money into new house construction to meet the national housing shortage, so there are plenty of new build projects all over the country. If you are looking for an original home that is designed around you and your family, then the option to design that home IS there. If you decide to invest in a new build property, then you have a couple of options. Large construction companies will often buy up a large plot of land and build entirely new estates on that plot. This is what the government is helping to fund at the moment so there are plenty of these types of projects going on up and down the country. While the companies will design most of the houses, if you know that the location is perfect for you, many housing developers will allow you to have some creative input in the design of your home if you buy the plot before the house is built. If the structure of the house has already been built, or already been planned with other buildings in mind, you may instead be able to design the interior of your home to closer suit your needs. Independent house builders, however, can work with you to design your new home if you have bought an individual plot of land or are looking to demolish an existing property and start again from the ground up. 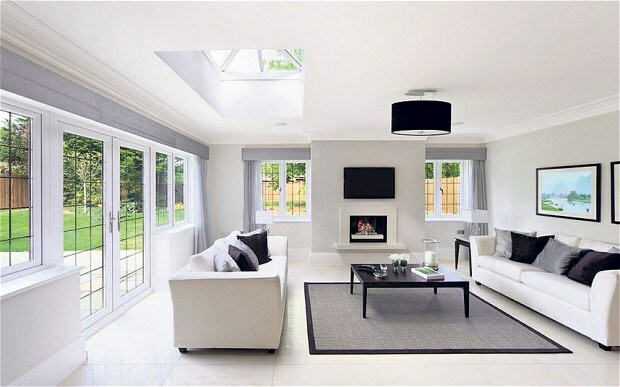 With a new-build project like this, you will have much more control about how your finished home will look. Working closely with your new house builder, you can design a home which is perfect for you and your family. If you have a large family, work from home or have a member of the family with special needs then bespoke home design may be the only way you can all live comfortably. If you are knocking down or making large structural changes to an existing property, then you may need to seek planning permission from your local council. Your builder should be able to handle this for you but there is a fee to submit planning permission if it is required. Having a dream home that you have had some hand in the design of is often a dream that people think only the truly wealthy can afford. However, you may be surprised at how cost effective it can be to create your own dream home from scratch – especially if you have the right builders to help you.